Do you have a PHP development project in mind? Then you must consider using a framework. This becomes especially true if you have long-term project. Now, you may ask “Why?” This is because, PHP frameworks have the ability to dramatically reduce the time as well as the effort that a developer needs to spend on any given web development project. As time is money, you get to save your hard earned money too. Isn’t it something that you want? PHP frameworks are a great way to give the web development processes a boost. There is a built-in tool called Artisan, using which, code is generated in Laravel. Generally, developers interact with Laravel using a command line. This is where Artisan acts as a great advantage. It eliminates the need for performing tedious and repetitive programming tasks manually. With Artisan, developers can generate model, controllers and much more. In order to install and upgrade various third-party packages, Laravel uses composer dependency manager. With this feature, developers can easily manage all the needed dependencies instantly. This feature is very useful for any developer, as they can create applications of any size. 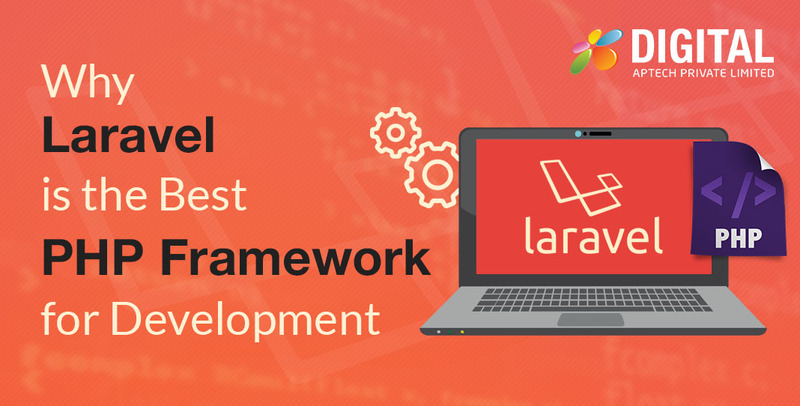 One of the main reasons why Laravel framework is considered the best is that it has object-oriented libraries along with many other pre-installed ones. This cannot be found in any other PHP frameworks that are popular. Authentication library is one of the pre-installed libraries. Although it is quite easy to implement, there are many advanced features that it has including Bcrypt hashing, encryption, Cross-site Request Forgery, password reset and checking active users. With Laravel’s eloquent ORM, PHP active record implementation becomes a lot simpler. Instead of using SQL code, web application developers can issue database queries with PHP syntax. In order to lessen configuration, the ORM uses industry standard conventions. To allow the developers to interact, there is a corresponding model in every table in the database. While programming, there are some common mistakes that can happen. The unit testing tool makes life quite easy for the developers by allowing them to test each and every feature individually and eliminate bugs and errors. This saves both project money and development time. Keeping the database in sync between development machines is one of the toughest challenges that PHP developers face. Of course, with Laravel, the task becomes a lot easier. Making use of Laravel migration, the Laravel developers can develop the database of the application. And they don’t need to recreate it every time a change is made. It cuts down the risk of losing development data by many folds. In conclusion, it can be said that Laravel framework is loved by developers mainly because of the amazing features it has. It offers extensive community support as well. At Digital Aptech, we have a team of skilled Laravel developers who have all the required experience. Contact us now!